Home / brand new / Harlequin Gold / música / Harlequin Gold Drop New Single "I Was Your Girl"
Harlequin Gold Drop New Single "I Was Your Girl"
Canadian indie-pop duo Harlequin Gold, consisting of sisters Avery and Elle O'Brien, are back with their brand new single I Was Your Girl, taken from their upcoming debut EP set to arrive this summer! 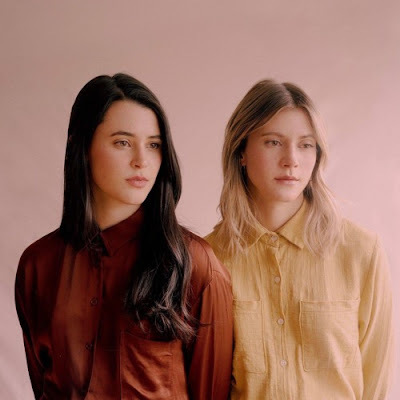 This lovely song follows their previous single Youth and once again showcases their stunning harmonies. I am really enjoying the guitar plucks and there's somewhat of a playful vocal delivery that got me hooked after the very first listen. I Was Your Girl is a lovely piece of indie-pop music that sounds perfect for the summer festival season! The sisters deliver a super smooth, relaxed piece of music with gorgeous harmonies and you can stream it below! “I Was Your Girl” is about going through the motions of trying to love someone before you are ready to. The past scars haven’t healed and you aren’t ready to open up but there’s a perfect person standing in front of you asking for you to fall.